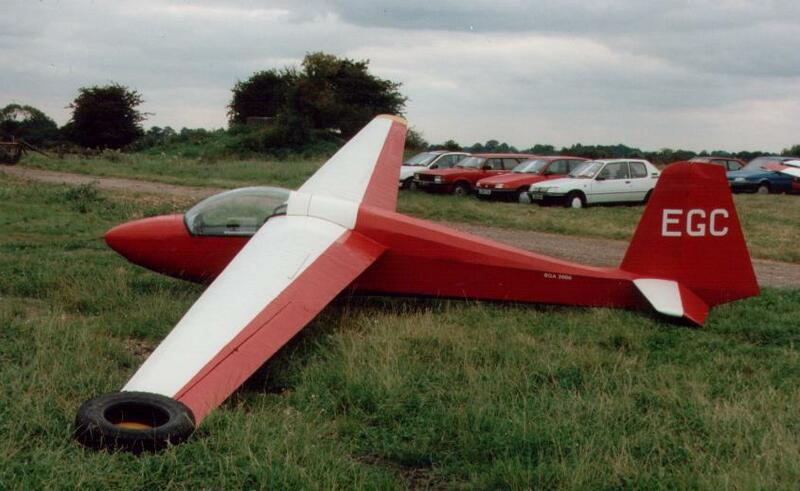 Elliotts of Newbury EoN 460 Series 1A to 1D - Initial versions of standard-class sailplane to replace Olympia; prototype first flown 26.4.60; later prototypes had different wings and other modifications. EoN 460 Series 1 (463) - main production version, first flown April 1963. EoN 465 Series 1 / Series 2 - Special version for 1965 World Championships with reduced fuselage height; Series 2 had thinner wing section. 463 EoN/S/007 A7632 BGA 1156 AGA 6 BGA 2666; BGA 1156; Manchester Museum of Science & Industry - "BQT"
RAFGGA 530 BGA 2776 Easterton - "ELS"
463 EoN/S/022 A8042 BGA 1223 AGA 15 BGA 1223 - Parham - "BTN"
463 EoN/S/033 A8325 RAFGSA 344 BGA 1379 For restoration, Darlton - "CAB"
Museum of Berkshire Aviation, Woodley - "465"
Stored at Brentor - "BXY"